Google shows how far it will go for a complete database. 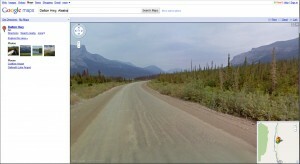 Street View drives take on the Dalton Highway. Pretty amazing when you think about it.